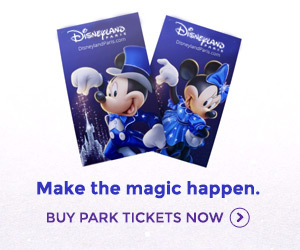 These two new visuals were likely intended to make their debut with the official 15th Anniversary brochure, but, as Disneyland Resort Paris have learnt all too much recently, no secrets are safe with the internet. The two visuals focus on two different floats in the new parade. The first, which looks to be part of a larger advertisement design, features the parade’s first float: Dream of Imagination. We released a profile-angle concept art of this float back in July, but now we can get an even better glimpse at how the float will look as it makes its way down the Parade Route in 2007. The sun-shaped hot air balloon is now revealed to have a beaming face at the front, whilst the balloon features a “15” plaque and the heavily stylized moon brings memories of the slightly abstract designs of Disney Cinema Parade. The second visual is much larger and features a view of float 4, Dream of Fantasy, as if you’re watching it approach from the curb with Pluto. The float features Captain Hook’s pirate ship at the front, followed by Wendy’s house (with Peter Pan on the roof), Big Ben and the London skyline, and finally Mary Poppins’ carousel at the rear. Mr Smee and the pirates follow the float along, whilst silhouettes of float 6, Dream of Adventure, and float 8, Dream of Romance, can be seen the background. Antoine, who published the DLRP.fr article featuring the visuals, also gives some extra details about the parade. Float 2 – Dream of Fun and Laughter, features a giant Alice stuck in a Wonderland house, and it appears her head will measure no less than 2.5 metres high, giving some sense of the grand scale of this parade. Several puppets will indeed be featured throughout the parade, controlled by artists inside the floats, whilst an odd new rumour is that each float will be joined by special aromas and scents as it passes along the Parade Route, a first for a Disney parade. Are we dreaming here, or is this really happening?